Adtrace Video, Popunder, Banner advertising network details. Adtrace is a global traffic provider that has worked with numerous clients across the globe. Since its establishment, the network has helped thousands of publishers maximize their income through displaying ads and helped advertisers reach their potential customers. Its cutting-edge self-serve platform can scan its advertisers in real time and then analyze their ad performance based on a backend RTB set in place in order to give publishers the highest estimated revenue. 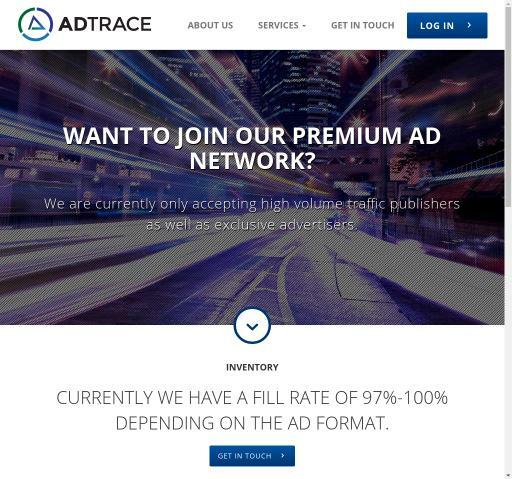 Adtrace is now seeking premium publishers and advertisers to join its premium network. Its support team consisting of 20+ professionals from different backgrounds will help you get your account set up in no time and start earning right away! You can check Adtrace reviews on Affbank and ask Adtrace Team any question by using the contacts above, especially about how to earn money!